Heat a large skillet to medium high heat. Add 2 tablespoons of olive oil and the shrimp. Immediately season shrimp with red pepper flakes, salt & pepper. Sauté each side for 2-3 minutes or until the shrimp turn opaque in color. 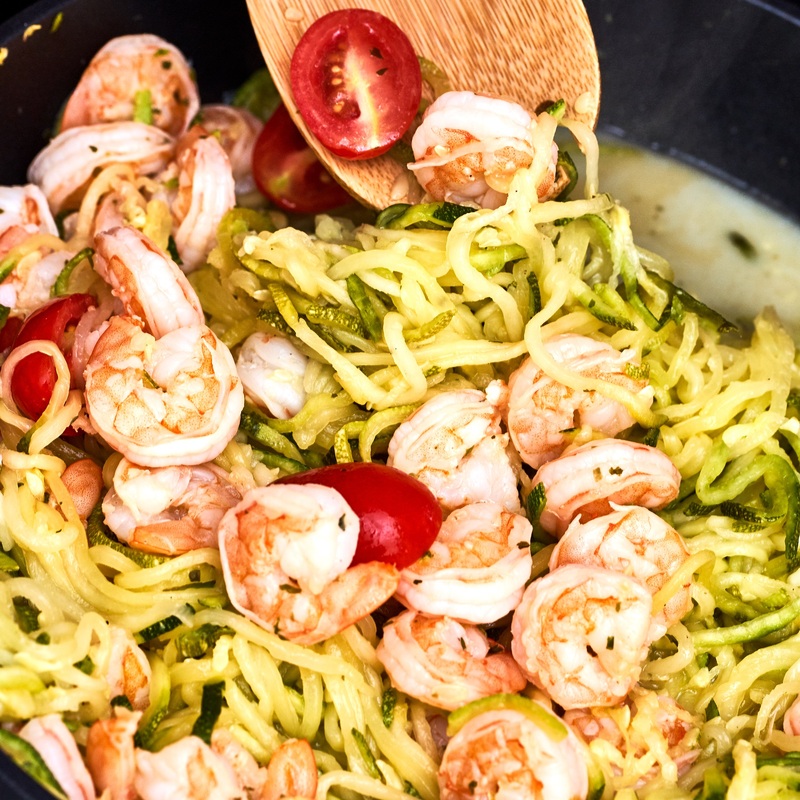 In the same skillet the shrimp was in add minced garlic and sauté up to 1 minute before adding in your zucchini noodles and cook for another 2-3 minutes. Next, add in the cherry tomatoes, cover skillet and sauté for 3-4 minutes or until tomatoes start to get somewhat soft. Add shrimp back to the pan, butter, lemon juice, ½ teaspoon of red pepper flakes, lemon zest, and parsley. Stir until butter melts. Toss ingredients together well and serve!